A portfolio for environments that create lasting effects on the natural and built worlds. 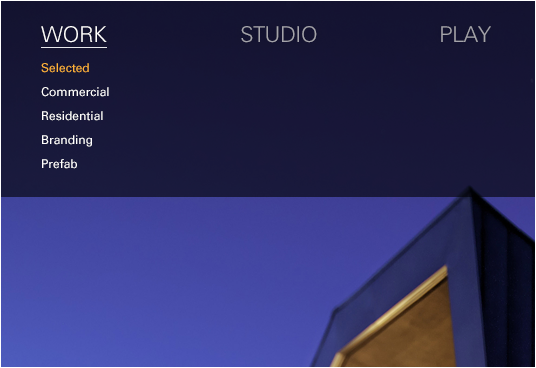 Like most architecture firms, Skylab was in need of a portfolio site that would showcase the unique spaces that they design. Unlike many other firms, their oeuvre was overflowing with jaw-dropping environments and landmark buildings. Our challenge was to somehow capture on screen all of the thought and effort that Skylab pours in to each project: both the larger-than-life ideas that stop people in their tracks, and the acute details that keep people engaged with the environments. Stunning full-screen photographs – and navigation that gets out of the way when it’s not needed – let the work shine through.